Where East Beach- 1000A S. Rodney French Blvd. Online registration is now closed. If you would like to participate in the New Bedford Polar Plunge, you can register on-site starting at 9AM. Online donations will still be accepted before and after the plunge. 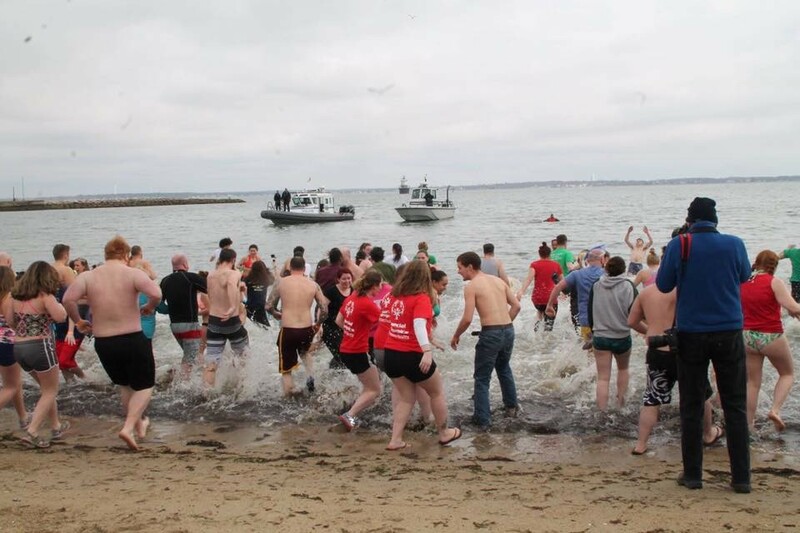 Be a Below Zero Hero this winter by taking the Polar Plunge for Special Olympics Massachusetts! Our brrrrravest supports fundraise to jump into icy cold waters in the middle of winter to show their support for over 12,000 athletes. In partnership with the New Bedford Police Union, we are excited to hold the LETR Polar Plunge on East Beach on March 23rd. Are you ready to be part of an #InclusionRevolution and also, #FreezinForAReason??? East Beach - 1000A S. Rodney French Bvld. New Bedford, MA. Want to know how a Polar Plunge works? 1. Each Plunger should register in advance of the event. This helps make the on-site registration process run much more smoothly. However, walk-on plungers are also welcome as long as they have collected their pledges before the start of the event. 2. Once registered, Plungers raise money (a minimum of $100), through the collection of donations from friends, family, co-workers, fundraising event, etc. Each registered Plunger is given a free Polar Plunge fundraising website. Plungers can accept donations right on their web page, and use it to spread the news about how cool their friends and family can feel about participating in the Plunge - as donors or other Plungers! 3. On the day of the Plunge, all Plungers will check in. At that time, they will turn in any checks or cash they have collected to met the $100 fundraising minimum. 4. Then, it's into the water! Volunteers will be on hand to direct Plungers and assist as needed as everyone takes a quick mid-winter dip! 5. Immediately after the Plunge all Plungers will be directed to the locker rooms or tents to change into some warm clothes. You know you'll want them! 6. After the plunging is done, awards will promptly begin. Are you ready to Freeze for a Reason? !